The year is 364 days old. Without wanting to sound very philosophical, come to think of it, even I am older by the same number of calendar days. It has been quiet a year - 2011. Like most of the years since I have started working, the days seem to have passed away quicker. Then again, I know this well, its not time that has picked up pace but my lifestyle. I do not know if this is a boon or a bane - an introspection left for my forties; no careless pondering on this for now. 2011 was the Chinese year of the rabbit. (2010 was the year of tiger, ironically) Rabbits, for me have always been far from being a romantic, furry, timid animal. The earliest fictional imagery, I can recollect of a rabbit, is that of the Mad Hatter from Alice in Wonderland, always in a paucity of time, running late, incoherent yet wise. This perhaps is a perfect analogy for my ‘year of the rabbit’ -(read the mad hatter) Take a dive into a few thought provoking milestones of my journey into the rabbit hole this year. Friends: This is has been a discovery this year. Well, isn’t this always in a year, you may wonder? Yes, it is, but live my life and age and you will understand why the impulse to write about this topic at the beginning. This year, I earned friends. In the past years I have made and lost friends, but have earned few. Earning friendship is a difficult and patient process. Every individual is different and the bond of friendship recognises this subtle thread that actually binds us together. The ‘rabbit year’ nourished such individuals in my life and I am grateful. It will be futile to talk about them, but if they choose to read (few even complain of my ‘exorbitantly expensive’ english) they well know who they are. My sincere wish that all of you get such friends in years to come and in case you all consider me one such, I will be much honoured and be willing to traverse the journey of life with you as far as possible. Wife: Simmi and I are now a whole one year and nine months married. It has been a very fulfilling journey till now. Not that we did not or do not have our share of problems. We have had some bitter arguments and fights regarding the most trivial of issues. Yet, we are thankful that we did pick up those arguments and will perhaps continue to do so, because it helps cleanse the system of its unending list of daily frustrations of life, which we often tend to unleash on the easiest prey available to us - the one we love the most. In the course of our some very childish whims and arguments, I have come to realise that none but her would have ever tolerated such temperament of mine. She has over this period of togetherness, helped me to be myself, san pretensions and what more, loved me more for being so. I cannot be more grateful for that and maybe will smile next time we pick up a fight. The year also helped me realise her resoluteness and commitment to my family, when she decided to quit her job and be with my mom to take care of her. I was and still am amazed at her sacrifice, so just saying that ‘I am proud of her’ would be an understatement. Here is secret - Husbands/Men harbour an ambition of having model wife/girlfriends. If you ask me, the rabbit fulfilled my ambition this year. 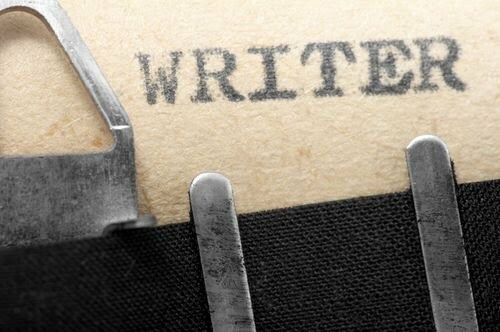 Writing: This year, I re-discovered this passion. I always wanted to be a writer. It has been an undefeated passion for a long time since, I first wrote a verse in school, followed by some unlimited skits, short stories, essays and then came the years of the blank canvas. To write, I needed to read, to read I needed to discuss, debate, understand, observe and all this while the wheel was often missing some spoke or the other to complete a cycle. The year gifted me with a surreal mentor who completed the picture, dawning a new phase in me. With soulful mentor-ship, I also owe it to the social media revolution, which opened a new direct relationship between the writer and the reader. Factoring all these conditions the journey is well begun and I cross my fingers that I scurry to my destination steadily and not in a race with the tortoise. Travel: I cannot claim to be a traveller, even though it is a passion. Or, lets put it this way I have not given into the real passion of being a traveller though there were some adventurous steps taken towards it. For the first time (quiet an achievement) I traveled abroad, albeit to only a neigbouring country - Sri Lanka. This was with friends and for cricket, so most of it gets censored in description. However, Lanka was fun - the highlight of the journey - I lost my camera on the first day. Closer home, there was this road trip to Amritsar, again with friends. Great experience and place - the highlight of the journey - I bought a high end point-and-shoot camera. Then there was an office trip to Naukuchiataal, my holiday with Simmi down south to Bangalore, Hoggenakal and Coorg. In between all this there were two annual trips to home at Shillong or Guwahati, where most of the time, I was either busy repairing or having something repaired among the other lists of things that a dutiful-twelve-day-a-year-visiting son has to fulfill. Home can never be a travel destination, if you wear my shoes, that is. I guess, this is too small a list of events to summarise my 364 days, but like the mad hatter, I too am running late for the bed. Few milestones like Sleep, Movies, Reading, Cooking remain and should find place duly but only after I finish doing what I want to do now. You will see more of me this year but before that gear yourself for 2012 - to ‘train a dragon’. You need skill and faith. Wishing you all ample of it, Happy New Year. Glad to see you included everyone who matters and no one who doesn't. A flawless and thought out post bereft of errors and erroneous beings. I included a soul in the pattern and when I wrote it I did not expect that an anonymous reader will discover it. The person who matters most is in the heart of the entire reason of being me. Its ok, that person will crack it. Dear author, your target persons are well in place. As for me, being anonymous is what I have been blessed (or rather cursed) with.